Turns out, tripping on mushrooms can actually be good for you. Evidence suggests that ingesting the psychoactive ingredient in shrooms can have several purported health benefits, including the potential to help relieve anxiety and depression, according to numerous studies. While the effects of the psychoactive drug seem to peak while you’re high, research suggests that shrooms could actually free the mind – even long after the effects have worn off. It has the potential to help relieve severe anxiety and depression. Psilocybin, the active ingredient in shrooms, affects the brain’s prefrontal cortex which regulates abstract thinking, mood and perception. 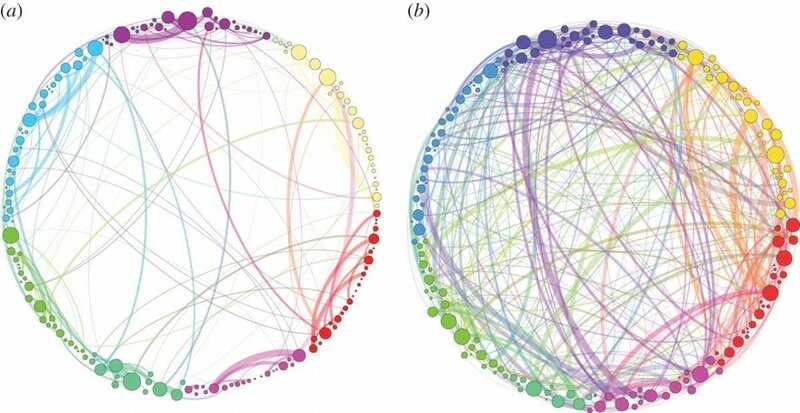 Imperial College London neuroscientist David Nutt, who authored a 2012 study on psilocybin, found changes in the brain activity patterns of people on the drug – particularly in one region believed to play a role in maintaining our sense of self. In people who are depressed, Nutt believes the connections between brain circuits in this sense-of-self region are too strong. He told Psychology Today: “People who get into depressive thinking, their brains are overconnected.” Loosening those connections and creating new ones, though, could provide relief. Shrooms can make you hallucinate – and not just while you’re on the drug. If you’ve ever taken shrooms, chances are you’ve heard colours or have seen sounds. Or maybe you had a conversation with a bush for two hours. To visualize what participants on the drug were seeing, the researchers created the below representation. And these hallucinations don’t always go away. While rare, there have been scattered reports since the 1960s of something called hallucinogen persisting perception disorder — when hallucinations continue long after someone’s taken the drug. Scientists still have yet to come up with a strict definition of HPPD, but an assistant professor of psychiatry at Harvard Medical School, told the New Yorker that ‘it seems inescapable’ that at least some people who use hallucinogenic drugs – LSD in particular – will experience HPPD. It could work ‘like a surgical intervention’ for mental illness. Results from two separate studies on the effects of psilocybin on patients dealing with depression and distress suggest that a single dose of the drug could help treat depression and anxiety. Six months after the trial at Johns Hopkins University, 80 per cent of participants showed significant decreases in symptoms of anxiety and depression. Shrooms can induce out-of-body experiences that seem real, but aren’t. These experiences typically begin 20 to 90 minutes after taking the drug and can last as long as 12 hours. Experiences can vary based on how much you take, your personality, your mood and even your surroundings, according to the National Institute on Drug Abuse. Want to open up your perception on life? Shrooms may be the answer. After psychologists induced out of body experiences in a small group of volunteers dosed with psilocybin, the participants said they felt more open, more imaginative, and more appreciative of beauty. When researchers followed up with the participants a year later, nearly two-thirds said the experience had been one of the most important in their lives. Business Insider reports that close to half continued to score higher on a personality test of openness than they had before taking the drug.